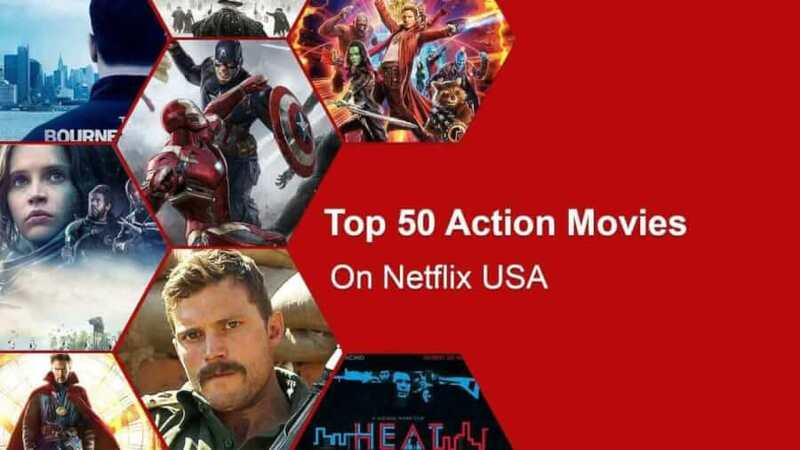 Welcome to the top 50 Action Movies on Netflix for June 2018. Here we’ll pick the best movies yet to get your heart-pounding with explosions, fighting and well… action. 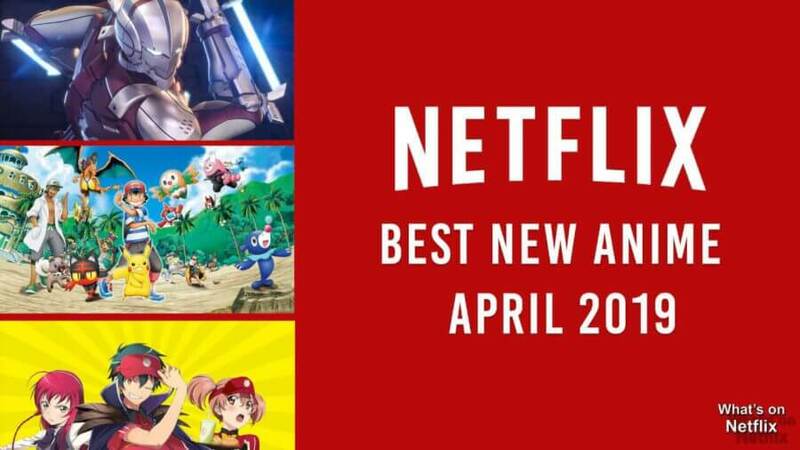 We’ve included the very best that the Netflix US has to offer, so hold on tight. Here’s our definitive list of the Top 50 Action Movies on Netflix. From the creators of the popular show Workaholics comes a new Netflix Original Game Over, Man! The film follows three friends who all work as maids in a hotel, but after an entire party is taken hostage by terrorists they must live out their video game fantasy and take them all on. This Die Hard’esc film is great for any fans of Workaholics and is worth checking out. Also known as ‘Arrowhead’ this Sci-Fi action is based around an interstellar survivalist. After being sent on his last mission in order to redeem himself, he becomes stranded on a seemingly deserted moon. What he finds on this moon will change his outlook on the universe forever. If you enjoy low-budget sci-fi movies with interesting concepts, definitely dedicate some time to this. Based on a true and inspiring story of three Jewish brothers living in Nazi-occupied Eastern Europe following the annexation of Poland. 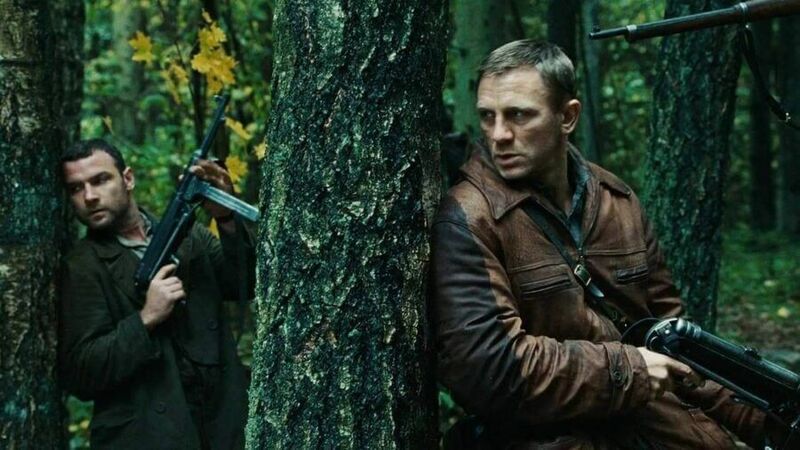 The brothers, along with hundreds of Polish Jews decide to escape to the Belarussian forests in order to scavenge and arm themselves against the possible discovery by the Germans. The film stars Daniel Craig, Liev Schreiber and Jamie Bell and was met very positively after it’s premiere in 2008, even being nominated for an Oscar. A highly skilled and infamous assassin known as ‘The Watchmaker’ (Pierce Brosnan) is set against an American State Department employee after she is tasked with stopping terrorists from getting into the US. After a failed attempt on her life, she has no option to go on the run and try to stop a large-scale terrorist attack aimed at Times Square. If that sounds like your kind of action movie, then you can’t go far wrong with ‘Survivor’. Nicolas Cage plays Will Gerard, an average high school teacher. After his wife is assaulted and put into the hospital, a mysterious stranger tells Will that they can ‘deal’ with the criminal, but only if Will agrees to carry out a favor in the future. Six months later, they ask just that of him. Trying to escape will bring the whole force of this secret organization down on him. V for Vendetta is an action, drama following the actions of “V” (Hugo Weaving) as he attempts to overthrow the fascist government that has taken over the Britsh Empire. After ‘V’ saves the life of Evey Hammond (Natalie Portman), she becomes a pivotal part of the revolution. 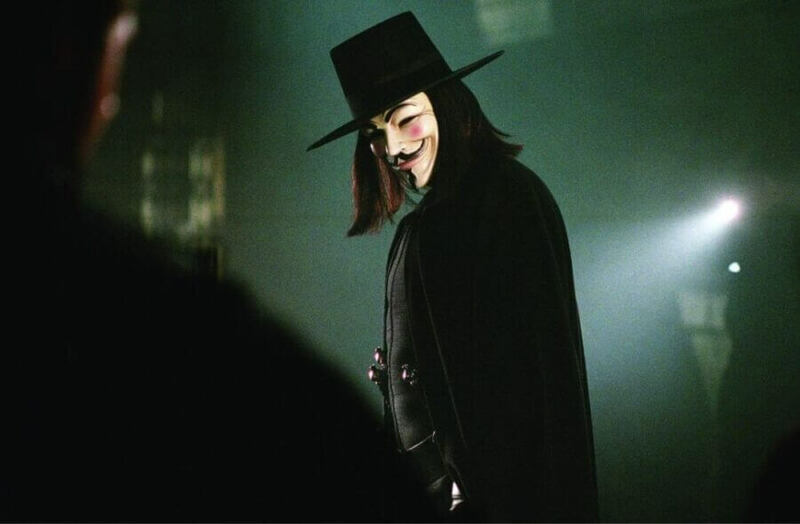 If you’ve never watched V for Vendetta you should still recognise his now iconic Guy Faux mask that has been adopted by the well-known hacker group anonymous. This is defiantly one that should be on your watch list. Angelina Jolie takes on the role of the Video Game exploror and millionaire Lara Croft. After the dissapearence of her father, Lara descovers that the secret society of the Illuminati is seeking an ancient talisman that is only possible to find every 5000 years, when the planets align. This artifact will grant the user with the ability to manipulate time. Lara finds that her father was also looking for the talisman and had even found a key which is needed to get access to the tomb. The film inclues many death-defying stunts and adventure that should keep any action-packed fan on the edge on their seat. Into the wild is a story following Christopher McCandless, a top student and athlete who feels like he’s not living life to it’s fullest. So he decides to abandon all his possessions, give all his money to charity and makes his way to Alaska in order to live in the Wilderness. On the way, Christopher meets many people that’ll shape his personality for ever. Directed by Sean Penn this Adventure Biography might not be as much of an action as some of the other films on this list, but we still think it’s an interesting and exciting movie that captures your attention. This brand-new action, thriller features Antonio Banderas as a special forces veteran desperate for work. After taking a job as a minimum-wage security guard he quickly finds himself under-siege from a powerful psychopath (Ben Kingsley), who is after a young girl being sheltered in the Mall. The film has a Die Hard feeling (Not a bad thing) and is worth a sitting. Gridlocked is a throwback to an old 90’s style action movie set in New York. David Hendrix is a former SWAT commander who’s been reduced to just running tasks for the NYPD after he took a bullet in the SWAT. To humiliate him further he has been given the task of giving a hard-partying selfish and irritating celebrity Brody Walker a ride along, as a part of his probation. But when a gang of mercenaries attacks a police training facility, Hendrix must make the best of what he has and fight back. it has all the hallmarks of a good action film, and that’s what it is, a pure action flick. This epic period war film stars Brad Pitt, Eric Bana, and Orlando Bloom. The film is somewhat loosely based on Homer’s Song of llion, an ancient Greek poem set during the Trojan War and the 10-year siege of Troy. The film follows the fates of many great legends, such as the warrior Achilles. The movie made a staggering $497 million worldwide and at the time was at number #60 in the list of top box office hits of all time. After the family mining business begins to dry up after the death of Kenny’s dad, he loses everything, his home, his business and his wife. But after he has a “vivid dream” of an Indonesian jungle, he is filled with a new sense of determination to find pure gold, hidden in the mountains. Accompanied by an equally unsuccessful geologist they venture out to discover their fortune. The film is based on a true story and is filled with an inspiring story full of ups and downs. The US has declared martial law as the state of Texas attempts to secede from the rest of the county. The film follows Lucy (Brittany Snow), a 20-year-old living in the Brooklyn area of Bushwick, and Stupe (Dave Bautista) a war veteran, who both get caught up in the brutal military invasion of New York, at the hands of Texas. In order to reach safety, they much cross five blocks, with many looters and armed invaders standing in their way. The film has an interesting plot and is full of plenty of action to keep you interested. The first South Korean superhero film comes in the form of the Netflix Original film titled ‘Psychokinesis’. The film follows Shin Roo-mi, who runs a reasonably successful fried chicken market. But after her mother is killed as the Mafia attempts to evict the family from their business, Roo-mi contacts her estranged father, who gains supernatural powers after drinking from a water spring that was struck by a meteor. The security guard now decides to take on the entire mafia with his new-found powers. The film has been received well since it’s release and praised for it’s fun and well-crafted story. This Netflix Original stars both Will Smith and Joel Edgerton and follows a very unique and original story. In a half modern, half fantasy world, Humans, Orcs and Elves live in relative peace. Edgerton plays the first ever Orc recruited into the police force and is paired up with Smith’s character. After responding to a call the pair stumble across a dark cult who are attempting to use a magic want to resurrect the “Dark Lord”. The film definitely included many interesting ideas and has already been slated for a sequel in 2018. Tropic Thunder is an Action, Comedy that follows five actors all from different movie backgrounds attempting to record a serious Vietnam film. Damien Cockburn, the bumbling and somewhat incompetent British director decides in a last-ditch attempt to save the film from disaster to drop the uncooperative actors into a real thick Vietnam forest in order to capture “real fear in their eyes” with cameras set up in the trees. Due to circumstances the group somehow wander confidently into real-life drug lord territory and come under fire from real gorilla soldiers intending to kill them. This film is nowhere near a mindless action flick, but a very clever Hollywood parody. Some of the cast includes Ben Stiller, Jack Black, Robert Downey Jr and Tom Cruise, who all give great performances. Following a deadly terrorist attack on an American compound in Saudi Arabia the FBI manage to persuade the Saudi’s to let them perform a five-day investigation into the attack and hopefully bring the ones responsible to justice. The team are immediately targeted with deadly force and they must fight for their survival. The thriller, action makes for a great watch and is a less know action film that’s worth a spot on our list. Set in 1933 ‘Assassination’ is about resistant fighters in Korea under Japanese occupation. They are under constant threat of being caught by the authorities and they have to plan an elaborate assassination of a high commander in the Japanese army. This is an engaging Action War Drama full of twists and turns that will keep you on the edge of your seat as they try and free their nation from this unwanted foreign power. After his family is brutally murdered, North Korea’s best field agent Dong-Chul is betrayed and on the run. With only Vengeance and survival on his mind, he must escape the forces chasing him. After uncovering some deep national secrets he is accused of murdering a powerful CEO and pursued relentlessly, whilst trying to desperately uncover the truth. The Ridiculous 6 is one of the three films that is included in the deal that Adam Sandler has with Netflix. An outlaw raised by Native Americans discovers that he has 5 other brothers and that in order to save their father from certain death they must somehow acquire $50,000 (equivalent to $1,078,718 in 2017). The strangers must now unite as brothers and do all they can to save their father. The film got mixed reviews but if you are a western spoof or Sandler fan you should definitely give his Netflix original a watch. 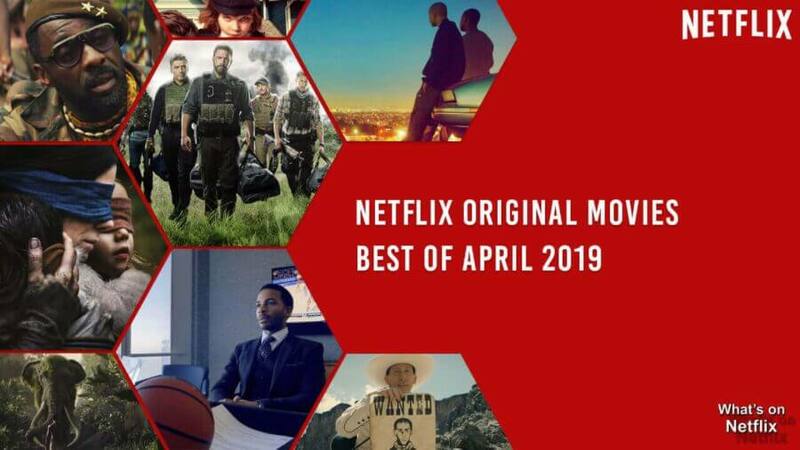 Our number 29 spot goes to the Netflix Original starring Kevin James, (Paul Blart: Mall Cop) who plays a lonely amateur novelist who is writing a fiction book ‘Memoirs of an International Assassin’. After a mistake with his publisher, the book is released as a non-fiction and is suddenly met with extreme success. Because of the story, he attracts the attention of a terrorist organization and the government who clash somewhat violently over this fictional assassin. An inspirational story based on true events about several men who attempt to escape from a Russian gulag somewhere in Siberia in 1941. They embark on a 4,000-mile journey on foot through many dangerous situations, including freezing nights, lack of both food and water, endless desert and the perilous task of crossing over the Himalayas, all to get to freedom in India. They face many ethical and moral problems that they have to overcome during their journey. It’s been praised for its immense cinematography and character development that makes you really start to feel something for the characters. Starting Leonardo DiCaprio and Djimon Hounsou, Blood Diamon is an Action, Thriller taking place in Sierra Leone during political unrest. Archer, played by Leo is wound up in the blood diamond trade, but after meeting Soloman (Djimon) is eager to make peace and get out of this brutal war. The film was nominated for 5 Oscars and along with some great performances makes a fantastic action watch. No Escape is one of Owen Wilson’s more series roles as he plays a father who takes a job opportunity in Southeast Asia and moves his family over with him. Initially, they expect a lovely exotic experience but things quickly spiral out of control and the family finds themselves caught in the middle of a violent rebellion. Now with the help of a British ‘tourist’ (Pierce Brosnan), they must get to safety. This intense action movie keeps you watching and should definitely be put on your ‘to watch’ list. Brad Pitt’s first Netflix Original has just released and is set during the Afghanistan war and loosely based on real events. General Glen McMahon is an overconfident leader who is tasked to command NATO forces. He jumps in head first and seems to be the only one who thinks he can actually win this war. The film is half serious and half a brutal parody of the real U.S. General Stanley McChrystal and his firing from the United States Army. Set in Korea during the Japanese occupation, the story follows an old and seasoned hunter on a quest to track down tigers in the extreme cold. The film includes incredible CGI that immerses you into the horrific wilderness that is being endured. The old hunter Chun Man-duk is living with his 16-year-old son, and the father-son element is portrayed very well throughout the movie. The cinematography has been praised, along with its directing and atmosphere. Set in 1844, 13 Assassins have come together to overthrow a cruel and evil lord Naritsugu Matsudaira who is quickly rising politically. The leader of the assassins swears to destroy the lord after seeing what horror he has caused on innocent people. They plan to ambush the lord and his 200 samurais in a suicide mission for justice. Anyone who loves suspenseful Samurai action movies will be satisfied with this production. The second movie in a four-film deal between Adam Sandler and Netflix. This Netflix Original stars David Spade and Adam Sandler after they fake their deaths and adopt new identities, with the aim of starting a new life. Unfortunately, the identities they have taken on has caused some unwanted consequences, and they are pursued by a number of trained assassins. They suddenly find themselves wrapped up in criminal activities, and now they must somehow survive with their minimal experience in a world they are very new to. Some of Sandler’s fans see this action flick as a step in the right direction and that this more plot-driven film is proof that he can still perform. Donnie Yen plays Ip Man, a martial arts master oppressed during the Japanese occupation of China in 1937. Based on a true story he must begin training others in the art of self-defence, and is actually the teacher and master of the legend Bruce Lee. The fighting choreography has been highly praised and action fans won’t be disappointed. Saying that, the film still does include a significant story aspect, seeing as it is following the events of a real Wing Chun martial arts master. Action fans should be pleased to see that all 4 of the original Lethal Weapon films are available to stream on Netflix. The film series started back in 1987 and stars Mel Gibson and Danny Glover as two L.A cops for are forced to become partners despite both preferring to work alone. They have to learn to work together quickly as a massive and dangerous drug-smuggling operation emergers in L.A and they have to take it down. 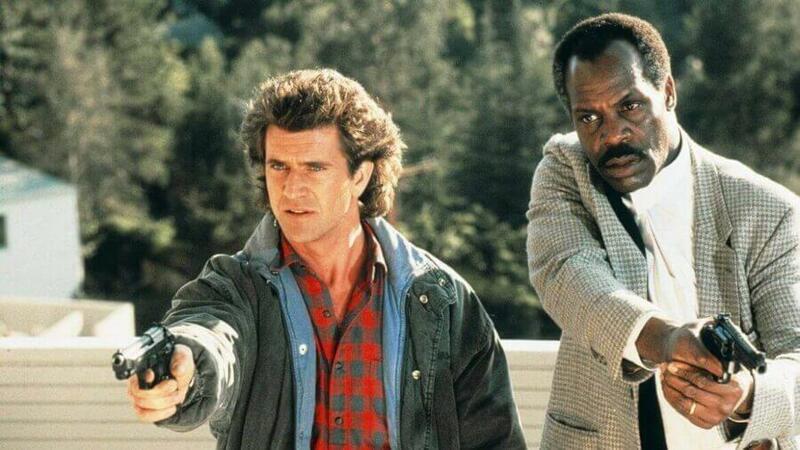 If you’re an 80’s action fan and haven’t watched the Lethal Weapon films yet, now’s the perfect opportunity. Wesley is an average and somewhat downtrodden office worker who after finding out that his long-lost father is a brutal assassin is quickly dragged into a sinister and mysterious order of killers. They must unlock Wesley’s supernatural killing abilities in order to hunt down the man who supposedly killed his father. The Action, crime movie stars James McAcoy, Angelina Jolie, and Morgan Freeman. Although the film had mixed reviews upon release, more people view it now as a quirky but good action flick thats worth a watch. 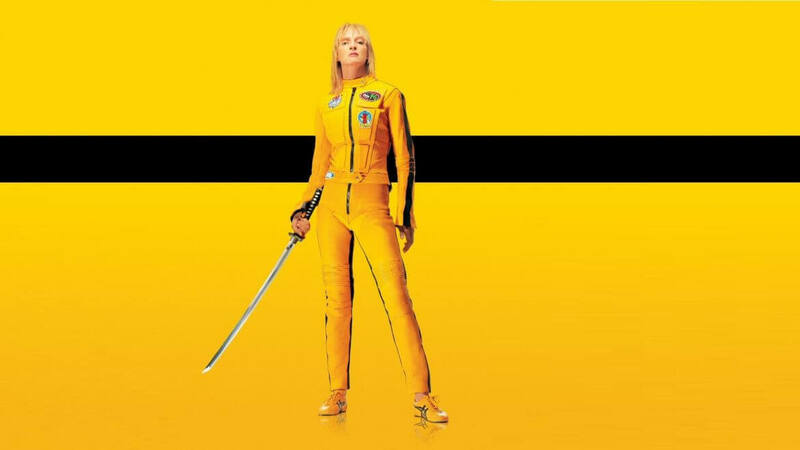 One of Tarantino’s better know classics is defiantly Kill Bill. First released in 2003 this bloody action, thriller follows “The Bride” (Uma Thurman) after waking from a four-year coma. The assassin group named ”The Deadly Viper Assassination Squad’ led by her former lover ‘Bill’ attempted to kill her as she left her life as a killer to get married. Now with vengeance on her mind, she decides to hunt down her former team and most importantly, Bill. Any Tarantino fan will be pleased to see both volume 1 and 2 are available to stream on Netflix. Once again directed by Guillermo Del Toro this film stars Ron Perlman, who returns as Hellboy, a half-demon that was summoned by Nazi Occultists. The sequel has been praised for its fantasy atmosphere and takes place after an evil Elf declares war on Humanity and vows to release an ancient and deadly group of machines known as The Golden Army. The newest film in the Cloverfield franchise comes in the form of a Netflix Original. The movie takes place on a satellite orbiting the earth in the near future with a multinational crew. They attempt to test a particle accelerator, intending to solve the worlds energy crisis, but instead opens an interdimensional portal to a parallel universe. Now along with a scientist from the other Earth they must find some way of returning to their own dimension. The Mystery, Sci-fi thriller was a pleasant surprise-addition to Netflix and is worth a watch. The fifth film in the Pirates franchise has got an early release on Netflix due to a deal with Disney. Dead Men Tell No Tales continues to follow the staggering footsteps of Captain Jack Sparrow (Johnny Depp) as he attempts to find the trident of Poseidon while being chased by an undead pirate hunter and his crew. The film reveals more about Jack’s backstory and does revisit the Will Turner – Elizabeth Swann story. Starring Bruce Willis, Liv Tyler and Ben Affleck in the 1998 Action classic Armageddon. After an orbiting shuttle is suddenly destroyed by a series of asteroids and subsequently a large area of New York, the Human race is made aware of an asteroid roughly the size of Texas, classed as a ‘planet destroyer’ hurling towards the Earth. The planet now has 18 days before the rock will collide and destroy all life. Now hope rests in the hands of Harry Stamper (Bruce Willis) and his team of oil drillers and geologists. The only plan they have is to plant a nuclear warhead inside the asteroid while it’s approaching, by hand. They only have two and a half weeks to train and prepare to launch and intercept certain death. In a future world where overpopulation has drawn humanity to desperation, a strict one-child policy is in place. The film follows seven identical twins who all take the identity of a single woman but take it in turns; one for each day of the week. After ‘Monday’ goes missing, panic ensues among the sisters. If the government finds them then they will be cryogenically frozen until the world sees better times. This Crime Action keeps you on the edge of your seat and is worth a watch. Wheelman is a new Netflix original starring Frank Grillo as a getaway driver who’s just trying to supply for his family. After spending 3 years in prison, Frank has built up a substantial debt to the Mafia, who protected his family while he was away. Now he must run numerous getaway jobs, until one fateful night, when he is double-crossed. If you enjoyed films like The Transporter, Drive, and Bullit this will be a pleasant action, car film that you can enjoy for an hour and a half. Set during the US occupation of Iraq, a small group of soldiers is tasked to defend and repair a broken water line in an isolated Iraq village. The film mostly follows Pvt. Matt Ocre’s (Nickolas Hoult) personal experience in the U.S Army, which he joined not because he wanted to fight, but just for some extra money. It’s not long before they become under fire from the same people they are trying to help. It soon becomes evident that they have drawn attention and they are not welcome, even if they are just trying to help fix a problem… that they caused in the first place. It’s a good war drama that does not rely on Hollywood cliché that are often found in some war action films. A recent film directed by the legendary Quentin Tarantino was ‘The Hateful Eight’ an action, western following eight individuals held up in a way station. The inhabitance includes two bounty hunters, a prisoner, and five more nefarious characters. The film won an Oscar and includes amazing performances from Samuel L Jackson, Kurt Russell, Tim Roth and many more. The tension that builds up throughout will keep you glued to the screen and is a great film to sit down to on an evening. Spectral is a Sci-fi action film set in the country of Moldova which is currently in the middle of a Civil war. A new enemy is discovered, they seem to be a paranormal entity that is completely invisible to the naked eye, but has incredible strength and capability to destroy. An elite special force is deployed to combat these deadly creatures and stop them spreading any further. 2016 welcomed the debut of another Marvel character into their cinematic universe, this time the mystical Doctor Strange, who has the ability to shape reality to his will. Benedict Cumberbatch plays the talented neurosurgeon with a large ego who after a nasty car crash seeks rehabilitation. He finds himself interacting with a hidden dimension after meeting ‘The Ancient One’ and gaining many metaphysical abilities and tools. This is one of the newer Marvel films and is a great addition to the MCU. After a group of professional bank robbers accidentally leave a clue at their last job, they begin to realize the cops are closing in. Despite this, they decide to set up one last retirement heist, but can they pull it off? Featuring great performances from Al Pacino, Robert De Niro, Val Kilmer and plenty other great actors, this is a fantastic Action/Thriller to sink your teeth into if you’re looking for something to watch. Following the incredible success of the first film back in 2014, it was only a matter of time before Marvel followed up Guardians of the Galaxy with a sequel. Volume 2 released back in April of this year and it definitely lived up to the hype for most. The film explores more about Peter’s (Chris Pratt) parentage, and who his father truly is. Marvel has been bringing many great action titles to Netflix pretty soon after their theatrical release, and we’re definitely not complaining. Often when you think of a high paced action film franchise, the Bourne movies aren’t too far off. Netflix has just welcomed the third Bourne film, Ultimatum to our screens which follows Matt Damon reprising his role as Jason Bourne as he searches for any information about his assassin past. The film is simply a great action flick that subsequently won 3 Oscars. When an Exceptional London police officer shows up his bosses, he is sent to a small rural English village and assigned a clueless immature partner. After some suspicious deaths, Nicholas starts to suspect something is wrong, but what could probably be wrong in such a small “crime-free” quaint village? This film is a comedy and part of the ‘Cornetto Trilogy’ which stars Simon Pegg and Nick Frost. 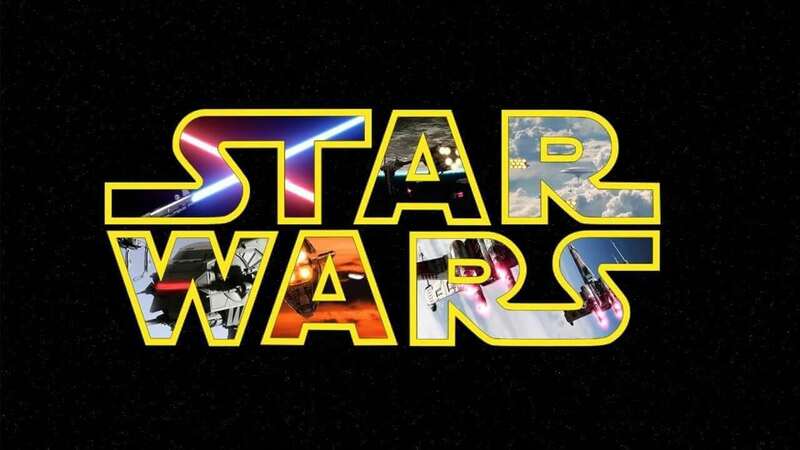 A stand-alone StarWars story set in between the events of the original three movies and the prequels. Rogue One follows the Rebel Alliance and their attempt to get their hands on the plans to the Death Star, a moon-sized superweapon capable of decimating entire planets. The film primarily follows Jyn Erso, the daughter of a key science officer who helped develop the Death Star. The fate of the entire galaxy now depends on whether the rebels can find the plans and expose the one weakness. Many have regarded Rogue one as an amazing stand-alone film and some have even said it’s the prequel that Star Wars deserved. Why not find out yourself? Our Second spot is taken by a Netflix Original Film starring Kevin Brodbin and Declan Power. The film is based on the second wave of Irish troops sent into Africa after the formation of the United Nations and meant to ‘keep the peace.’ Africa was in a Civil War in 1961, and the whole world was on the brink of another world war. This conflict was based on an actual event that occurred. The Katangese forces assaulted the lightly armed Irish forces for a whole six days, while Irish and Swedish military attempted to make their way to help the struggling Battalion of Peacekeepers. The Irish soldiers who had never been in a battle before felt betrayed and abandoned. This is a war movie that has been considered one of the best by fans. Our Number one spot is taken by the Third film in the ‘Captain America’ Franchise, Civil War takes place shortly after the events of ‘The Avengers: Age of Ultron’. The consequences from the previous film cause the governments of the world to come together and sign an agreement to limit the Avengers’ previously unlimited power, and ensure that they can only act once they are given official permission to. This creates a drastic split between the Avengers and serious conflict. The two sides are brutally pitted against each other and dark secrets emerge about the past that only seems to increase tensions.